The Government's inaction and indifference to the housing needs of less affluent New Zealanders (at least 30% of us) is appallingly obvious. John Key's suggestion that homeless families just need to visit their local Winz office demonstrated how poorly informed he is on this major issue. 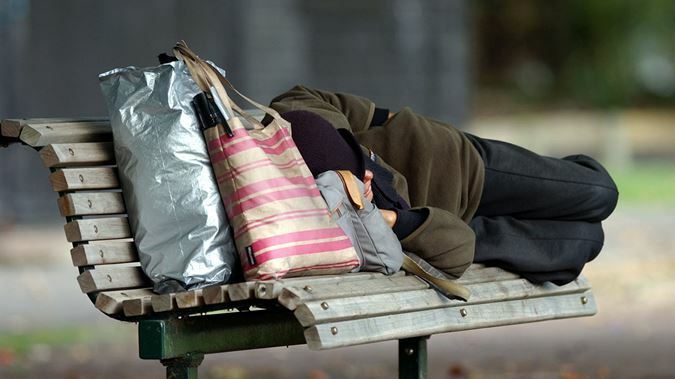 Most homeless have found little support from Government departments and many on Housing New Zealand's priority lists now have waits of up to two years to be accommodated. This Government is so lacking in practical solutions to solve such a massive problem (1 in every 100 New Zealanders are now homeless) that their attempts to do anything at all has verged on the ridiculous. Three Ministers share aspects of what should be one housing portfolio and yet each has just contributed to the huge mess that housing has become (miscommunications between Ministries are also resulting in evictions of people who have no other housing alternatives). Bill English is the Minister for Housing NZ and his focus has been to convince us all that the Government is not a good provider of social housing and to shift the responsibility to the private sector and NGOs. By allowing the maintenance and upgrading of our state houses to fall behind, and forcing Housing NZ to annually pay over $100 million in dividends back to the Government coffers ("to make them more efficient"), we now have a $1.5 billion backlog of work. Many forced to live in state houses are becoming sick or dying and yet after spending almost $30 million on consultants in an attempt to find private providers of social housing, not one has been found. More state houses are now being sold off than built and our country is now around 30,000 houses short of where it should be if the same trajectory of growth in state housing continued that we had from the 1930s to 1991. Housing NZ is clearly struggling with the efficiencies English wants when there are over 4,500 on its high priority waiting lists, up to a two year wait, 2500 houses on its books that are unoccupied, but only 200 of them ready for occupation. Paula Bennett is the Minister of State Housing and Social Services. Separating the portfolio of social housing from Housing NZ seems ridiculous unless Housing NZ is considered as a business rather than a social service and there is a move to shift to the private sector for social housing supply. Private landlords have benefited from an annual spend of $2 billion on the Accommodation Supplement but they are under no obligation to take on homeless families (especially if they have other people who are more able to pay the increasingly expensive rents). This disconnect has caused a huge problem for Bennett because as English reduces the supply of state houses she has discovered that the private sector has a limited supply of appropriate social houses too. The Government used to build much of the lower cost housing, however most new houses are now being built for the affluent and profit (the houses we now build are the 3rd largest in the world). To get families off the streets she has been forced to put them up in motels at commercial rates and then has demanded that they pay the money back. Bennett is clearly desperate and has been throwing out random solutions like paying people to leave Auckland without checking if there was somewhere they could go. Housing is obviously not a key focus for Cabinet when Bennett made the announcement of the payment without informing the PM or Finance Minister beforehand. One would have thought that if the housing crisis was a real a concern for Naional the policy would have been decided at a leadership level. The ultimate in desperation (because there actually aren't enough houses or emergency accommodation) would be to spread the idea that homelessness is not really a growing issue and many actually choose to live in cars. To support this misrepresentation Bennett apparently told the PM that "flying squads" of MSD officials and the Salvation Army were knocking on car windows and offering support but were being turned down. This was quickly revealed as a total fabrication and the Salvation Army was forced to circulate a press release to say that they they had no part in such an operation and didn't think it was an appropriate approach anyway (they also claimed that many homeless have a distrust of officials). Nick Smith is the Minister for Building and Housing and he has had the overview of building regulations and land supply. His own desperate attempt to be seen doing something about the housing shortage was to announce that 500 hectares of Crown land in Auckland was going to be dedicated to housing. He even led the media on a grand tour to prove that the spaces existed. Like Bennett his claims have been revealed as misrepresentation and without substance. After a year he has spent his entire budget on the project and only 5% of the claimed land has been secured. While Bennett is busy trying to blame the homeless for their situation, Smith is blaming both the RMA and local bodies for the lack of housing supply (rather than his Government's failure to manage an overheated property market). He is claiming that the process of consenting housing developments and private construction is unnecessarily slow. However, when the Auckland City Council manages to process 98% of consents on time and New Zealand is regarded as the 2nd easiest in the world for conducting business we hardly have a serious problem with regulation. Smith's latest attempt to shift blame (and distract from his failure to release crown land) is his claim that Auckland's reluctance to extend the metropolitan urban limit is largely responsible for the housing shortage. To make sure that this distraction is given proper attention he threatened to appoint a commissioner to replace the Auckland City Council if the Unitary Plan doesn't meet with Government approval. While the Government has replaced many school boards that have failed to do its bidding as well as Environment Canterbury and the Southern DHB, the sacking of the democratically elected council that currently governs 33% of our population is an extreme measure. Smith has conveniently ignored the fact that any greenfields development will require substantial expenditure on services (sewerage, water, electricity and cable...) and no developer would be interested in building the low cost or social housing that is in such short supply. This Government has an ideological reluctance to do the things that will actually make the difference: a government led building programme to build at least 20,000 homes for low income families; an effective capital gains tax to reduce the rampant property speculation that has caused the hugely inflated prices in Auckland and other centres that has made our housing the most expensive in the world; a restriction on foreign ownership of property; addressing the monopolies within our construction industry that makes the costs of construction 30% more expensive than Australia; a real focus on regional development so that there are more jobs and opportunities outside Auckland; A shift in budget priorities away from building motorways and corporate welfare; a focus on improving the lives of ordinary New Zealanders rather than tilting the playing field for the already wealthy and causing New Zealand's growth of inequality to be the fastest in the OECD. When profit focussed Australian owned banks have recognised the problem of foreign ownership in New Zealand's overheated the property market before the Government, it is a real warning sign that there is a lack of awareness and leadership at governance level. The National Party actually has no previous credibility with regards to housing, it was the 1991 National Government that changed the building regulations that led to our current $11.3 billion leaky building problem. If we want to fix our housing mess, we need to change the Government!